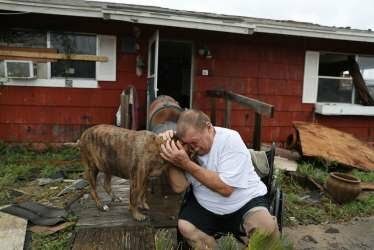 Will you rescue those who rescue animals in disaster? Animal Evac New Zealand is the country’s only dedicated animal disaster management charity, we work with communities, emergency management and government to ensure no animals are left behind during emergencies and disaster. We need supporters who can regular donate to us, whatever they can afford. As a small charity, a little goes a long way. For regular giving you can of course use the more well-known methods such as setting up an automatic payment (AP) or using online banking but one way you might not be familiar with is payroll giving. For payroll giving you provide information to your employer including to whom you want to make the donation, the amount, and frequency of the donation. The donation is deducted by your employer directly from your pay (before your pay is paid to you). Your employer is then responsible for passing your donation on to the charity you have nominated (Animal Evac NZ of course!). With payroll giving you also receive the advantage of an immediate tax credit for the donation (via a reduction in the amount of Pay As You Earn (PAYE) tax deducted from your pay). This is instead of having to wait until the end of the financial year and having to submit your donation receipts and a completed ‘Tax Credit Claim form – for donations’ (IR526) to the IRD (Inland Revenue Department) in order to obtain a tax refund related to your donations. This is a lot more convenient for you. If you are an employer wanting to support payroll giving to Animal Evac New Zealand, please see the below information sheet. And if you prefer more intermittent or one-off donations, these can be made already directly via Animal Evac New Zealand’s give-a-little page. We also have information if you are thinking about leaving us a gift in your bequest too. We need your support today, so we can help animals in disaster tomorrow.